Накануне автосалона в Женеве Mitsubishi существенно обновила свой компактный кроссовер ASX, который на европейском рынке также получит новый мотор. В зависимости от страны, в которой вы живёте, эту модель Mitsubishi можно знать как ASX, RVR или Outlander Sport. 3-е поколение кроссовера появилось в 2010 году, а в 2019-м модель пусть и не меняет поколение, но получает серьёзное обновление. Машина выделяется новой передней частью в стиле Dynamic Shield, который характерен для всех современных Mitsubishi — в частности, Delica и Eclipse Cross. Кроме модернизации кузова спереди у кроссовера появились новые фонари, иные передний и задний бампера с имитацией металлической защиты, а также новые цвета окраски. Изменения в интерьере подразумевают выросшую на дюйм диагональ экрана, а также навигацию Tom Tom с информацией о трафике в реальном времени в топовых комплектациях. Позднее появится приложение для смартфонов, позволяющее контролировать параметры автомобиля. В Европе Mitsubishi ASX получит атмосферный 2-литровый бензиновый мотор с 5-ступенчатой механической коробкой передач или вариатором. Характеристики мотора марка не назвала, но на Mitsubishi Outlander этот двигатель выдаёт 148 л.с. При этом о 1,6-литровом дизеле ни слова — вероятно, от такой версии отказались. Но точно доступны передне- и полноприводные варианты. Обновлённый Mitsubishi ASX дебютирует в марте на автосалоне в Женеве, а когда модель появится в продаже — не отмечено. 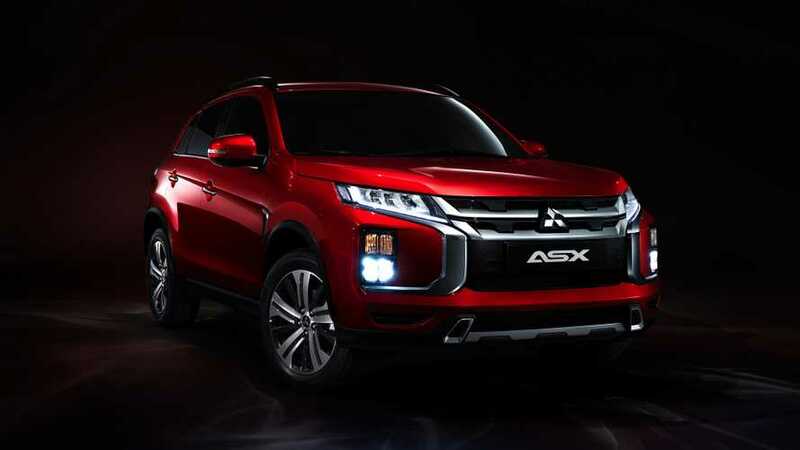 Tokyo, February 12, 2019 – Mitsubishi Motors Corporation (MMC) will globally unveil the 2020 model year ASXcompact SUV (RVR or Outlander Sport in some markets) at the 89th Geneva International Motor Show*1 to be held March 5th-17th. 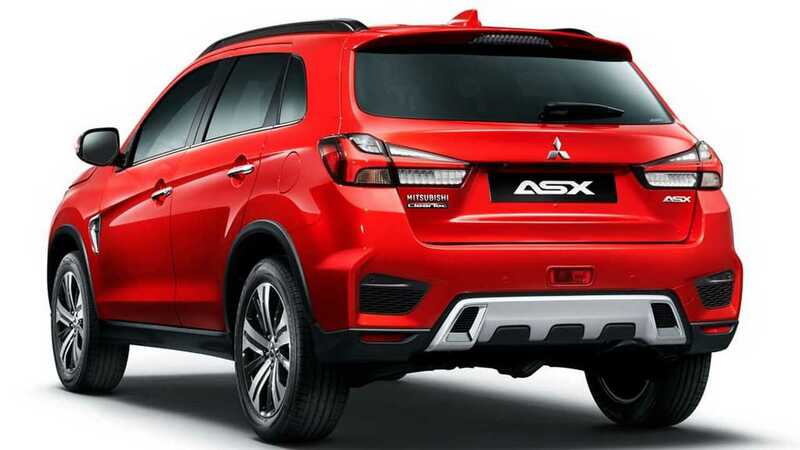 Since its launch in 2009, the ASX has sold around 1.32 million units overall in around 90 countries. The biggest markets are North America, Europe, Australia and China. Currently the third-highest selling vehicle offered by MMC, the ASX is key to the company's global strategy. The exterior design has undergone a major overhaul under a design philosophy of "robust & ingenious," which serves as an expression of the MMC's global tagline "Drive your Ambition." *1. Officially press days are on March 5th and 6th, and it is open to the general public from March 7th to March 17th. The ASX is a compact SUV designed for the city, offering wide-ranging versatility that makes it perfect for everything from everyday use to exciting adventures. Its lightweight, compact body combined with an SUV's commanding driver sightlines give the ASX excellent handling and easy drivability. For European markets, ASX is powered by a 2.0L MIVEC*2 16-valve engine mated to either a five-speed manual transmission, or the INVECS*3-III CVT with 6-speed Sports Mode. Both two and four-wheel-drive versions are available. The design concept is "Impact and Impulse." As well as signature Mitsubishi toughness, the refined and original design projects a strong image, inviting drivers to follow their impulses and take on new challenges. The new ASX brings an evolution in MMC's DYNAMIC SHIELD front design concept. The bumper embraces the central protective shape from both sides and the squared horizontal and vertical line treatment of the grille and the skid plate under the bumper expresses strength and toughness. The new styling makes the hood deeper, adding to the presence projected by the front end. 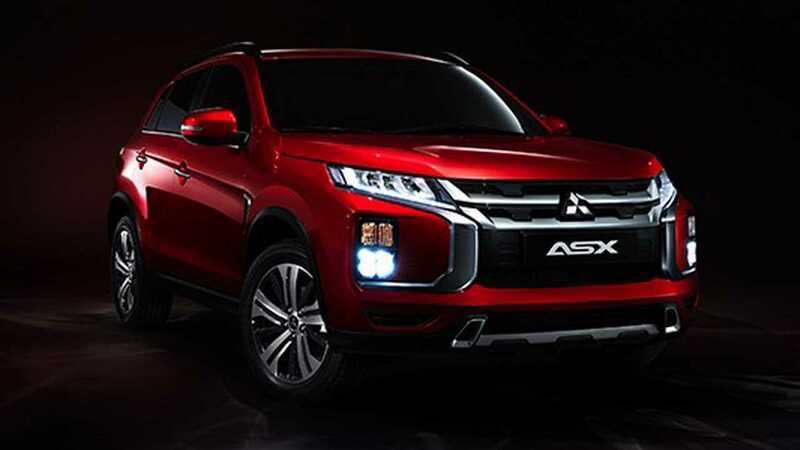 And the distinctive LED lighting layout, which locates the turn signals and fog lamps at the ends of the bumper, stamps a Mitsubishi brand look on the front end. The ASX uses LED rear combination lamps (except turn signals) in a sharp-looking design that stretches across the width of the car and accentuates the wide stance. The skid plate styling of the underside of the bumper projects a look of strength. The ASX is now available in vivid, intensely brilliant Red Diamond, sporty and energetic Sunshine Orange, and sleek, refined Oak Brown. The Smartphone-link Display Audio (SDA) has been improved, and now offers more advanced connectability. The size of the display has been increased from seven to eight inches. Videos stored on USB memory sticks can also now be viewed on the SDA screen*4. Top trim level models come equipped with a Tom Tom*5 navigation system. Real-time traffic information can now be accessed by connecting to the internet using a smartphone. Available soon will be an app that utilizes speedometer, odometer, warning lamp and other vehicle information. The app will check fuel remaining and provide navigation to the nearest fuel stations, and will provide guidance on optimum maintenance and inspection intervals. *5: A company headquartered in the Netherlands that produces traffic, navigation and mapping products. MMC has setup a special website at the following URL to provide the information about its exhibits at 2019 Geneva International Motor Show.